John Arnot was born in Scotland, and emigrated to America with his family in 1801, first settling near Albany. Around 1817, he moved to Elmira, NY, where he married the daughter of Stephen Tuttle, a wealthy merchant in Elmira. He built the first brick store there in 1830. In 1834, he brought the first steam engine to Elmira, for use in a foundry and machine shop he had recently established. In addition, he became a director of the Chemung Canal Bank. 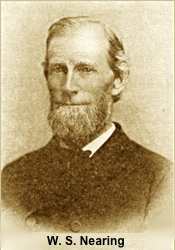 In 1848, along with his lifelong friends John Magee, Constant Cook, I. S. Stranahan, and Charles Cook, he undertook the construction of the Erie railroad from Binghamton to Corning. In 1849 he was largely interested in the construction of the Elmira and Jefferson Railroad, later operated by the Northern Central, and in 1854 he was instrumental in the building of the Junction Canal. It was said that there was no public enterprise during a period of fifty-four years calculated to benefit the business interests of Elmira and the country at large that did not receive his aid and support. In 1858 he was a democratic candidate for Congress. In 1862, he became interested in coal mines, and the Arnot mines, near Blossburg were named after him. Along with Constant Cook and others, he incorporated under the title of Blossburg Coal Co. At the time of the incorporation of this company, and their purchase of several thousand acres of timbered and coal lands in Pennsylvania, the Fall Brook Coal Company and the Morris Run Coal Company were in successful operation. He was also one of the projectors of a railroad from Elmira to Watkins. Silas Billings was born into a lumbering family. In around 1865 he began lumbering operations at Cedar Run, built a steam mill and erected a store and several dwellings. He was a member of the board of commissioners appointed by the Court to appraise land damages on the Wellsboro and Lawrenceville Railroad in 1870. (4) He personally spent large sums of money to keep alive the charter of the Jersey Shore, Pine Creek & Buffalo Railroad. Although the railroad succeeded, he did not live to receive the rewards of his investment, except in the increased value of the timber lands he owned along the route. The line from Blossburg to Fall Brook was built in 1859, by John Magee and Humphries Brewer, who became afterwards superintendent of the Fall Brook mines and first president of the Wellsboro & Lawrenceville Railroad. In 1867, a survey for a line from Lawrenceville to Antrim was made by Anton Hardt under the direction of Humphries Brewer. The construction of this railroad was commenced In May, 1870, and finished in the fall of 1872. Mr. Brewer died in December, 1867, before the line was completed. He is buried in the cemetery at Fall Brook. 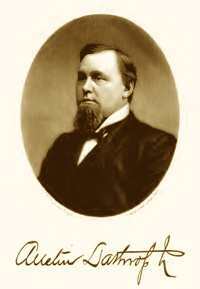 Robert H. Canfield was born in Geneva, NY and educated at schools in Bath. His first employment was with has father in 1869, in locating and building the railroad between Dansville and Mt. Morris, NY, then known as the Erie and Genesee Valley. From 1870-71 he was on the construction of the Sodus Point & Southern Railroad, later the Northern Central, from Stanley to Sodus Point, NY; 1873-4 Division Engineer, N. Y. C. & H. R.R. on the construction of two additional tracks from Syracuse to Lock Haven, NY. John "Constant" Cook was born in 1797 in Warren, NY. Constant Cook became interested in numerous mail and passenger stage routes in New York state along with John Magee. He was appointed a judge in 1840 in Steuben County. In 1848, along with with John Magee, Charles Cook and John Arnot, he contracted to build the Erie Railway from Binghamton to Hornellsville, NY. Later, he and John Magee designed and built the Buffalo, New York and Corning Road, from Corning to Buffalo. In 1866, he incorporated the Blossburg Coal Company, near Blossburg, PA, and contracted to build a four-mile railroad from Blossburg to their coal lands on Johnson Creek. There sprung up a town, named "Arnot" in honor of Hon. John Arnot, with dwellings, shops,stores, offices and facilities for shipping coal. In 1867, the Blossburg Coal Company purchased the Tioga railroad, which ran from Blossburg to Lawrenceville, and from Blossburg to Morris Run. On December, 12, 1866, Samuel Stuart Ellsworth was married to Hebe Parker, daughter of Hon. John Magee of Watkins, NY. From 1868 to 1880 he was on the board of managers of the Fall Brook Coal Company. In 1869 he was elected president of the Sodus Point and Southern Railroad Company, which post was filled in 1871 by John Magee (Jr.). 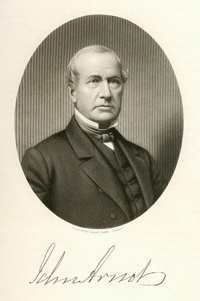 In 1872 he was made president of the Wilkes-Barre and Seneca Lake Coal Company. He was one of the acting trustees of the John Magee estate. Mr. Foote was born on August 15, 1824, in Candor, Tioga Co. N. Y. He lived in Elmira for many years, coming to Watkins in 1873 as the advertising, passenger and freight soliciting agent for the Seneca Lake Steam Navigation Co. In 1877, after the opening of the S. G. & C. Railway between Corning and Geneva, and at the urging of General Magee, he took a similar position, also becoming connected with other portions of the Fall Brook Coal Company's railway system. Being naturally sagacious, loquacious and persistent, he organized tours of mines, excursions to Watkins Glen, and all manner of travel involving the railroad for the next 12 years. A colorful figure, well-known and liked, he was regarded as a valuable man by the company, and often travelled with, and shared fishing trips with General Magee. He was shrewd, reticent and secretive, when circumstances required theses traits of character; and activity, when necessary, was reinforced by assurance, boldness and audacity. He died of apoplexy at his residence in Watkins, August 17, 1890 at the age of 66 years. 1-10-85 - Commodore Foote, the wide-awake advertising agent of the Magee system of railroads, requests us to announce that passenger trains on the S. G. & C. railroad make close connection with trains on the old Central at Geneva and also at Lyons with trains on the main line of the Central upon each of which the fare has reduced to a cent a mile. Manager of the Fall Brook Hotel in Fall Brook, PA. at its opening in 1865. Alonzo H. Gorton was a millwright by trade, and his first work for the Corning and Blossburg railroad was the framing of five-ton coal cars. He did this work so well that it attracted the attention of the president of the railroad, Hon. John Magee, and he was soon appointed foreman of the repair shops at Corning, and later on Superintendent of the Corning & Blossburg R. R., which then comprised only 23 miles (16 miles from Corning to Lawrencevllle and 7 from Blossburg to Fall Brook.) By traffic contracts the Fall Brook Coal Co. also ran their trains over the Tioga railroad from Blossburg to Lawrencevllle, over the Erie from Corning to Horseheads and over the Northern Central from Horseheads to Watklns. The difficulties of early railroading were many: the track was poorly constructed, very few sidings existed along the line and most of the lumber, ties, etc., had to be loaded on the main track. Mr. Gorton was an efficient superintendent, and enjoyed the confidence of his employer and the good will of his employees. As the Fall Brook system gradually expanded, Mr. Gorton's capacity to rule such a system become more evident. Though he had the disadvantage of starting business on new track which took years to settle, and working with new men, who were not familiar with handling coal traffic, he handed to his successor a perfect track to run on and a lot of men who had been educated for the business. Mr. Gorton was responsible for the design of the inspection locomotive "John," a common sight on the Fall Brook routes, and a personal car of President George J. Magee. It was built at the company's shops in Watkins and was assisted by O. C. Patchel, master mechanic. Mr. Gorton may be proud of his success in engine "John." He has been identified with the railways of the Fall Brook coal company almost since their inception and has demonstrated his fitness for the position in everything which he was called to perform. John Graham, born in 1807, was the first Chief Engineer of Motive Power of the Corning & Blossburg railroad. He was locomotive engineer of the first train from Blossburg to Corning on November 5, 1840. He died September 15, 1841, aged thirty-four years. James H. Gulick was a Pennsylvanian who located in Blossburg in 1837 and resided there thirty-eight years. He was engaged in coal operations and glass manufacture in the Tioga Valley and was associated with the Magees in the organization of the Fall Brook Coal Company. He died in 1881. Was a Mining Engineer at Fall Brook and Antrim, and Chief engineer of the Wellsboro & Lawrenceville Railroad, and the Syracuse, Geneva & Corning road. Attorney Jefferson Harrison was Henry Sherwood's partner and gave his advice to the Fall Brook Coal Co. in all important transactions. He was considered to be one of the best lawyers in Tioga county, and his advice was frequently sought by the attorneys of other railroad companies. He assisted Mr. Sherwood at all the lawsuits which were tried in connection with the management of the Fall Brook Railway Co., and was advising trustee of the John Magee estate up to the time of his death. 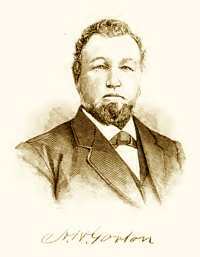 J. P. Haskin was President of the Morris Run Coal Company, founded in 1864. Locomotive #16, a 2-6-0 built in Schenectady in 1885 was named after him. He died January 30, 1873 at Syracuse, NY. H. A. Hornung was Traffic Manager of the Fall Brook Railroad. Manley T. Inscho, the Corning agent of the Erie, was born in Tioga County, Pa., January 12, 1847. In 1862 he became a clerk in Wood & Demarest's sutler store at barracks No. 3, Elmira. June 28, 1864, he entered the employ of the Erie at Corning as a janitor of the depot. He was subsequently transferred to the freight depot. He was faithful in his humble sphere, and was rewarded for it in 1872 by appointment as day ticket clerk at Corning. He held that position until 1883, when he resigned to accept joint agency of the Erie and Lehigh passenger lines at Elmira. In January, 1885, he was transferred to Waverly in the same capacity, and also made ticket agent for the Erie. In March, 1884, he was appointed agent of the Erie Express at Corning. When the Erie Express was purchased by Wells, Fargo & Co., he remained as agent. December 18, 1891, he was appointed Erie station agent at Corning. He was the conductor on the first passenger train between Geneva and Corning, on December 10, 1877. John Lang was for years prominently connected with railroading. His signature appears at the bottom of generations of Fall Brook Coal Co. railroad passes. In 1846, he became a bookkeeper for the Blossburg Coal Company where he remained for nine years. Upon the organization of the Fall Brook Coal Company, Mr. Lang was made its treasurer, and moved to Watkins with his family. He "commuted" to Corning every morning on the train [likely on the inspection car "John"], and returned in the afternoon to Watkins, where he had "fine stone residence on Madison Avenue overlooking Seneca Lake. He was an elder in the Presbyterian Church, originally built by John Magee. 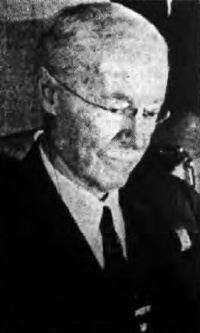 Mr. Lang's rise to more influential positions was rapid and deserved, until at his death he was first vice-president of Fall Brook Coal Company, first vice-president of the Fall Brook railway company, president of the Chest Creek Land and Improvement Company of Cambria and Clearfield counties in Pennsylvania; and he was a Trustee of the estate of the elder John Magee. Mr. Lang has been the chief counselor, the helmsman so to-speak of the Magee properties, and his far-seeing sagacity has been cheerfully recognized by the interests he so long and faithfully served. (8) His son, John H. Lang, became Treasurer of the Fall Brook Railway Company. Youngest child of Rev. William W. and Sarah (Latham) Crum, born in Beaver Dam, New York. Following school in Watkins, he became a workman in the Fall Brook Company shipyard in Watkins, engaged in making coal barges for carrying coal down Seneca Lake and Erie canal. Gen . Lathrop was best known to history as being Superintendent of New York State prisons. He was born in Tioga County, PA, in 1839. and moved to Corning, NY in 1859. He was a member of the Steuben County Board of Supervisors, and was appointed Superintendent of Prisons by then-Governor Hill. Under his control were all prisons in New York State, including the Willard Asylum for the "Chronic" Insane, in Ovid, NY, of which Gen. George Magee was a Trustee. He died in 1921. As one of the principals in the firm of Walker & Lathrop (C. C. B. Walker, being the other,) he entered into numerous agreements with the Magee family interests. What began as a lumber and hardware business (1862-1887), depending on the railroad for transportation of goods, shortly became General Contractors. (then) Col. Lathrop received a contract for the building of the timber foundations and masonry for the bridge over the Chemung River at Corning, and for the construction of bridges and trestles on several sections of the Syracuse, Geneva & Corning. On December 10, 1877, Gen. Lathrop was on board the first train on the S. G. & C., of which he was a director. In 1878, Walker & Lathrop undertook the contract to rebuild the car shops of the Fall Brook Coal Company at Corning, and in 1880, his firm built a 2-story brick depot for the same company. In 1881, Walker & Lathrop built a new roundhouse at Corning. Shortly thereafter, his form contracted to build the first twenty miles of the Pine Creek Railway. One of the original stations on the Wellsboro and Lawrenceville RR was named Lathrop in his honor. Gen. Lathrop was a close friend, and frequent traveling companion, of Gen. George J. Magee, and often appeared in newspaper stories of trips to Europe, or rail "inspection" tours aboard Gen. Magee's private cars. He socialized among the the railroad magnates of the era, including the Vanderbilts. In 1883, a new Schenectady 2-8-0 locomotive, #34, was named "Lathrop" in his honor. In February, 1885, a coal train drawn by the "Lathrop" on the Fall Brook Railroad ran into the rear of a freight train near Tioga, PA. One car loaded with 10 tons of powder took fire and a large explosion resulted. The car which contained the powder was next to the caboose. The explosion was heard at Elmira, 25 miles distant. In 1890, a new Schenectady 2-8-0 locomotive, #63, was named "Lathrop." 12-16-03 - Lewis B. Manning, a long time locomotive engineer, died at 7:30 P.M. on Saturday at his home ... aged 65 years. His health had been failing for some time, but he kept at work until last Monday, running his engine as far as Lyons, where on account of illness he was compelled to leave it and to return home on a passenger train the next day. The Morris Run Coal Company was chartered in 1864, with company offices located at Blossburg. W. S. Nearing, initially employed as a civil and mining engineer, was made superintendent within the year. He remained in the post for 34 years. The mines under his control were considered among the best run and ventilated in the State of New York. He was known for his control of all aspects of the mines, from introducing new, more efficient - and safer - machinery, to dealing with all manner of personnel issues. In 1877, the company name was changed to the Morris Run Coal Mining Company, Mr. Nearing remained superintendent. Employee disputes were brought to him, and he settled them with the same dispatch and efficiency that he settled issues in the operation of his mines. In 1894, 709 men were employed there, 522 of them miners. It was said that by 1904, 15 million tons of coal had been removed from Morris Run mines. He believed in more efficient communication to run the mines and, in 1879, was one of the incorporators of the Tioga and Morris Run Telegraph Company. The line ran from Tioga Junction to Morris Run and Fall Brook, and was primarily for the use of the Morris Run and Fall Brook Coal Companies. to be driven into new territory, as well as in chambers. In this story, reprinted from the Corning Journal, we get a glimpse of the high esteem that the locomotive engineer held in the Fall Brook system. He has been in the employ of the Company, as an engineer more years than any other person. He is not only the oldest in the length of service, but he stands at the head of all as a competent and vigilant engineer. No one feels sensitive to have Mr. Newell mentioned as the highest in rank on the roads of this Company which has so large a number of locomotive engineers. It is conceded that he has earned the honor. A great responsibility rests upon the Locomotive Engineer of a passenger train. There is constant peril; as a wheel or axle may break even on a level track, from the mysterious and undiscoverable change by which the iron or steel becomes crystallized in consequences of protracted use, or the heavy shocks of starting and stopping and incessant strain. An engineer must be ever on the alert, especially when, as in this case there is a single track, and numerous freight trains, regular and irregular; there is a pressing necessity to guard against the possible mistakes of orders, the neglect of duty, by others, and the liability to accidents to his own train. Thus it is eminently proper to commend Mr. Newell, who has been exceedingly careful, whose vigilance, good judgement and knowledge have made him a high reputation in his occupation. The vast amount of property and the invaluable lives that are daily under his care make his vocation one of extreme responsibility and he has won the unlimited confidence of the railroad officials, and of all who take passage upon a train under his control. He knows that unavoidable accidents may occur and that his calling is one of daily danger, and yet no one would suspect this from his looks or words when on duty, as he is as composed as though walking the streets of Corning. Jesse Newell was Secretary of Division 244 of the Brotherhood of Locomotive Engineers, Corning, NY. At the time of his death, Thomas J. Presho was station agent at Presho, in the town of Lindley, NY. He came to Erwin Center in 1855, where he opened a general merchandise store and was a large lumber dealer. He had side tracks and a switch installed there for storage and loading of train cars. When a station was established there, he became station agent and was the first telegraph operator. He also served as postmaster for many years. In 1887, the name of the post-office at Erwin Centre was changed to Presho, in his honor. He represented Lindley twice as supervisor in the county legislature, and also served as town clerk. He was highly esteemed. Hon. Horatio Seymour was the Governor of New York from 1853 to 1854 and from 1863 to 1864. He was the Democratic Party nominee for president of the United States in the presidential election of 1868, but lost the election to Republican and former Union General of the Army Ulysses S. Grant. Hon. Horatio Seymour was a close friend of John Magee and was from 1868 until 1881 one of the Trustees of John Magee's Estate. 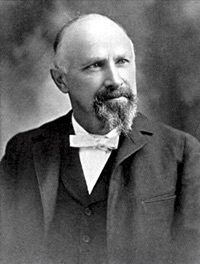 Initially the Superintendent of the Tioga Railroad, Levi Shattuck was appointed the Blossburg and Corning's passenger superintendent. As Superintendent of the Tioga Railroad, he was considered one of the best railroad managers In the state. He worked his way up from fireman to engineer, conductor and station agent, and was familiar with every detail of railroad management. He had the respect of his men and had perfect control over them. Unlike another superintendent who relied on a system of espionage to uphold his position, Mr. Shattuck despised tale-bearers, and would not listen to them. He could see for himself what was going on and took pains to watch the operation of his railroad closely. Many a time he would board a caboose at a water tank when the men thought he was at the other end of the line. He always conversed freely with his employes about the work and would allow them to make suggestions for the betterment of the service. Henry Sherwood was born in Bridgeport, Connecticut. He served in the Texas Army under Sam Houston in 1836 and 1837. He moved to Tioga County, Pennsylvania, and settled in Wellsboro, Pennsylvania, in 1840. He studied law, was admitted to the bar in 1847 and practiced his profession in Wellsboro. 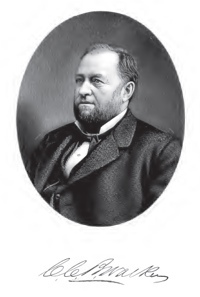 Mr. Sherwood was untiring in his efforts to secure the construction of the railroad from Wellsboro, to Lawrenceville, the Corning, Cowanesque and Antrim section of the Fall Brook, and served as president of the company from its organization until the completion of the road in 1872. Mr. Sherwood was counselor and confidential advisor to the Fall Brook Coal Co. Their purchases of the Fall Brook and Antrim coal lands were negotiated and completed in his law office and the right of way for the Wellsboro & Lawrenceville R. R. as well as all the subsequent lawsuits in relation to that right of way and to land damages were managed by him and his partner, Jefferson Harrison. In 1868, following the death of Humphries Brewer, he became the president of the Wellsboro & Lawrenceville. He strongly advocated the building of the Jersey Shore and Pine Creek railroads now a part of the Fall Brook system, was a director of the company until the road was finished and president of the same from it's organization up to the time of his death. He was also a director in the Fall Brook Railroad Company. 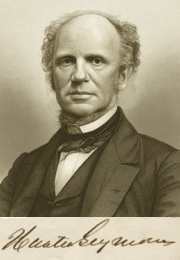 He was elected a Democratic member of the U.S. House of Representatives from Pennsylvania in 1870. During the Civil War he served as brigade quartermaster with the rank of captain in the New York State Militia. He served as delegate to the Democratic National Convention in Charleston in 1860 and Baltimore in 1872. 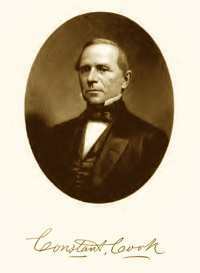 Walker was elected as a Democrat to the Forty-fourth Congress March 4, 1875 to March 3, 1877. After his term in Congress he resumed his former business activities. He was also chairiman of the New York State Democratic Committee from 1887 to his passing in 1888. In 1877, he was aboard the first train on the Syracuse, Geneva and Corning, and shortly thereafter undertook a number of construction projects for Fall Brook. They included the rebuilding of the Fall Brook Car Shops in Corning, following a disasterous fire in 1878; the building the two-story brick Depot in Corning in 1880; the building of a new round house in Corning, in 1881; and the building of the first twenty miles of the Pine Creek Railroad in 1883. Judge Williams took a great Interest in the railroads projected and built in Tioga county. He gave liberally to the right-of-way fund which the citizens of Wellsboro raised for the Wellsboro & Lawrencevllle R. R., He hurried the building of this railroad by employing W. S. Nearlng, of Morris Run, to survey a line from Arnot to Wellsboro in 1869. In 1882 he was offered a directorship on the board of the Jersey Shore Pine Creek & Buffalo Railroad, but declined it, as he thought it would interfere with his duties as Presiding Judge of Tioga county. He delivered eloquent addresses at the opening of the Wellsboro &. Lawrencevllle R. R. in 1872, and at the opening of the Elmlra & State Line R. R., in 1876. He also took great Interest in the construction of the Pine Creek Railroad. 6 - "Corning and Vicinity - 1789-1920" by Uri Mulford - self-published - Corning, NY 1922.